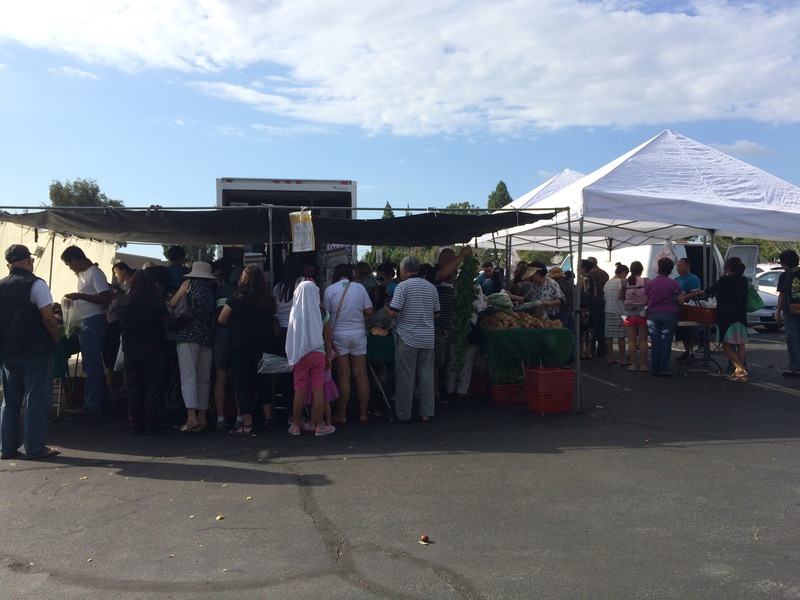 On Tuesdays in Mira Mesa as the high school kids leave for the day, the Farmers Market kicks into gear. 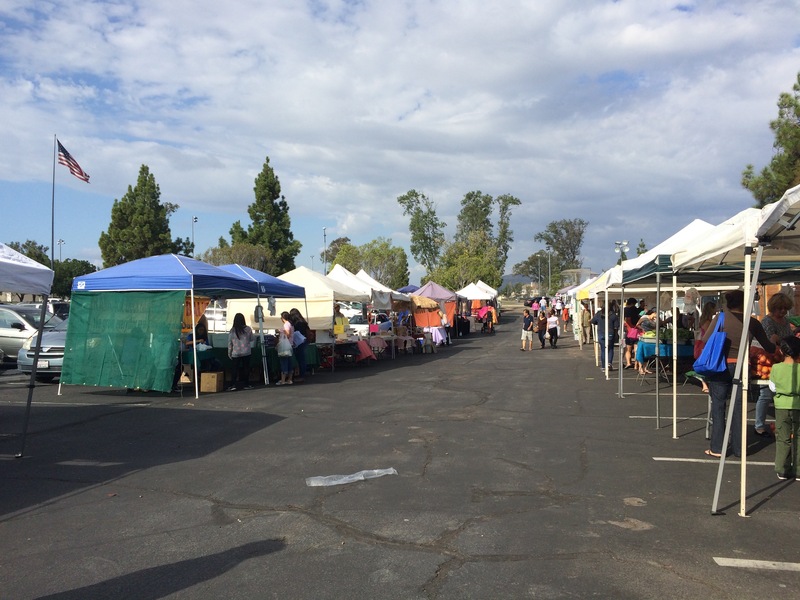 About forty vendors split pretty equally between produce, cooked foods, and merchandise, sell their goods on the northeast corner of the school grounds. Now is the time to pick up the last of the summer berries and squash of all kinds were available at all the produce stands. I picked up a nice cherry and apple cider from a stand selling San Joaquin Valley apples. I bought it for The Husband but it looks too good and I’m going to have to make him share. One vendor had about 90% of the clientele of the entire market selling asian greens, vegetables and even a kind of vegetable vine… I regret asking what the heck that was. Clearly, that is the place to buy your produce. 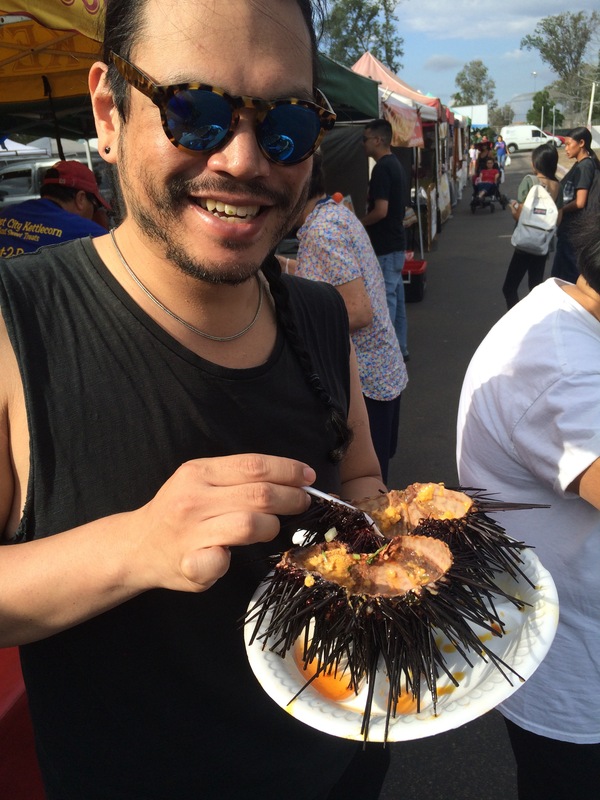 Another stall sells fresh seafood including enormous sea urchins. These were whoppers. They are also available on the half shell, as this happy guy was enjoying during his vacation visiting family. Uni on the half shell! Japanese, Filipino, Indian and other foods are available. The Indian food stall was passing out samples of their sauces, oh my GOSH they were delicious! 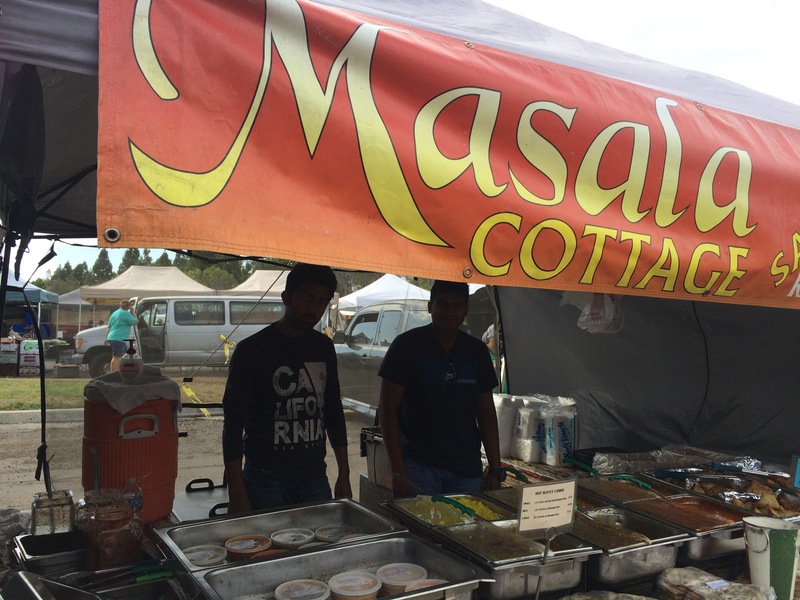 They let me know that they sell at most of the local Farmers Markets, so keep an eye out for Masala Cottage and their delicious sauces to take home or made to order plates with rice and samosas. One guy said he gets his dinner at Masala Cottage every Tuesday afternoon, he loves their food that much. 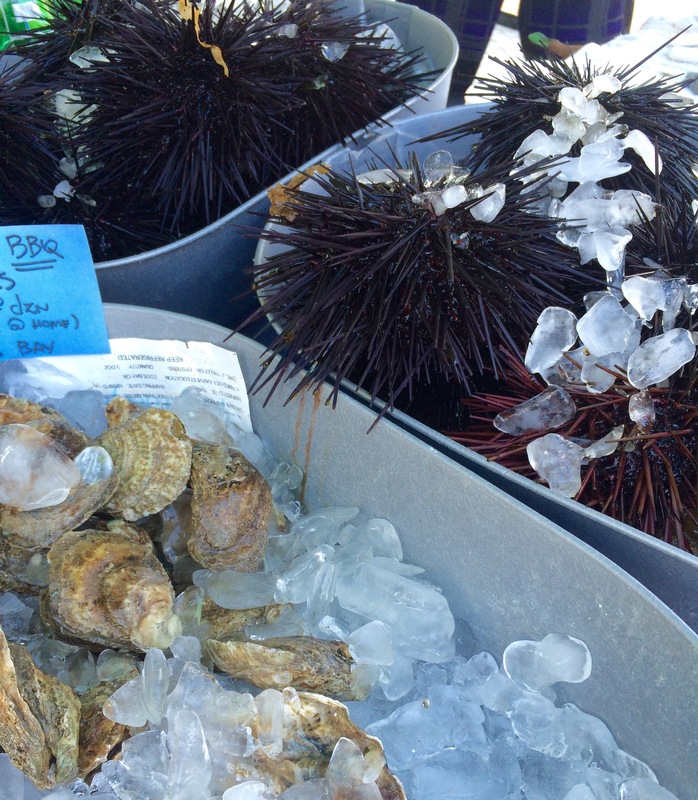 I’m looking forward to tomorrow’s Farmers Market trip… I’m getting one of these dinners for sure. Fabulous Indian food from Masala Cottage, I kid you not!